We are one of the few companies providing on car state of the art Computerized Brake Machining which produces minimized brake noise, no pulsation, and excellent stopping distance. 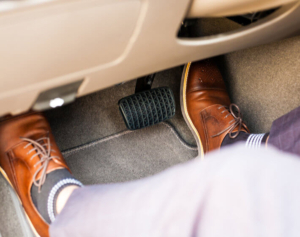 Because when a brake rotor doesn’t spin true (or warped), it will contact the brake pads twice each revolution (when your foot isn’t even on the brake pedal!). Over time this wear will cause the brake rotor to become unevenly thick and cause unwanted pedal pulsation and affect overall performance of the braking system. WHAT WILL THIS DO FOR MY BRAKES ???? 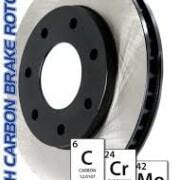 WHAT IS BRAKE HUB RUNOUT ???? This is misalignment of the hub onto which your brake discs and wheels are mounted, many vehicles are corrected at the factory for runout and subsequent fitting of new discs shows up this problem. Hub runout can also happen if a vehicle suffers even minor crash damage such as hitting a curb. 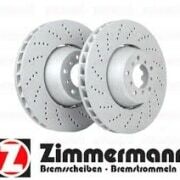 If you have any brake vibration in your car now you CERTAINLY have brake hub runout. WHY DOESN’T EVERY GARAGE DO THIS THEN ???? 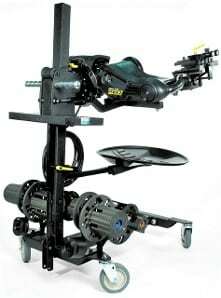 As a brake specialist we have tools most garages do not, including the New Model Pro Cut brake lathe. 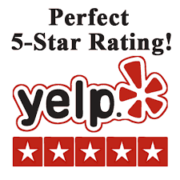 We want brake customers to be totally satisfied and confident in their BRAKES & driving experience. 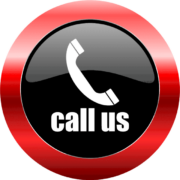 We install Centric 120 and 125 series for all of our heavy duty, performance oriented applications. Higher density and treated for maximum heat dissipation. 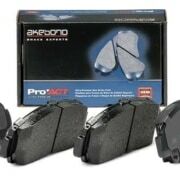 Akebono brake pads are made to the highest standards, we take great pride in using this product for vehicles serviced in our shop. 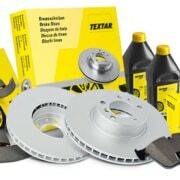 We use textar brake pads and rotors which are manufactured in Germany specifically for European vehicle.